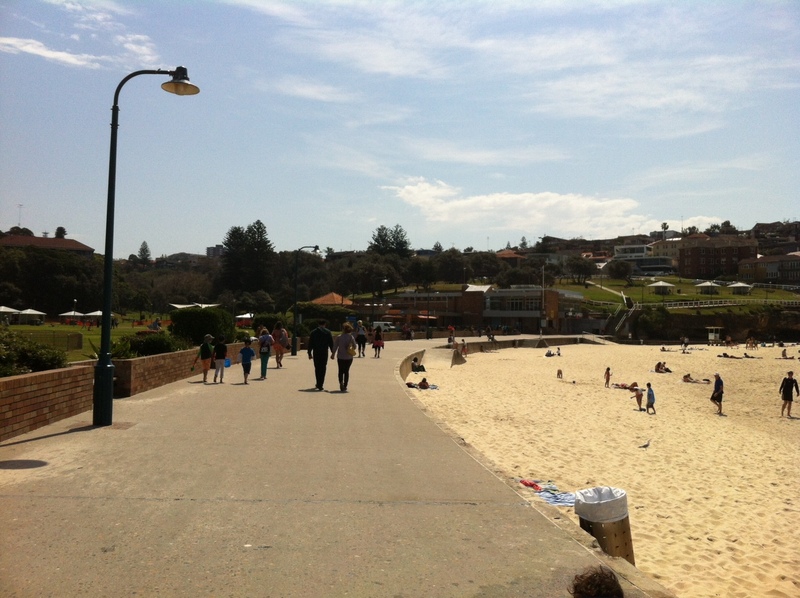 Bronte Beach is a beautiful Sydney Beach and a perfect place to enjoy a day with the family. 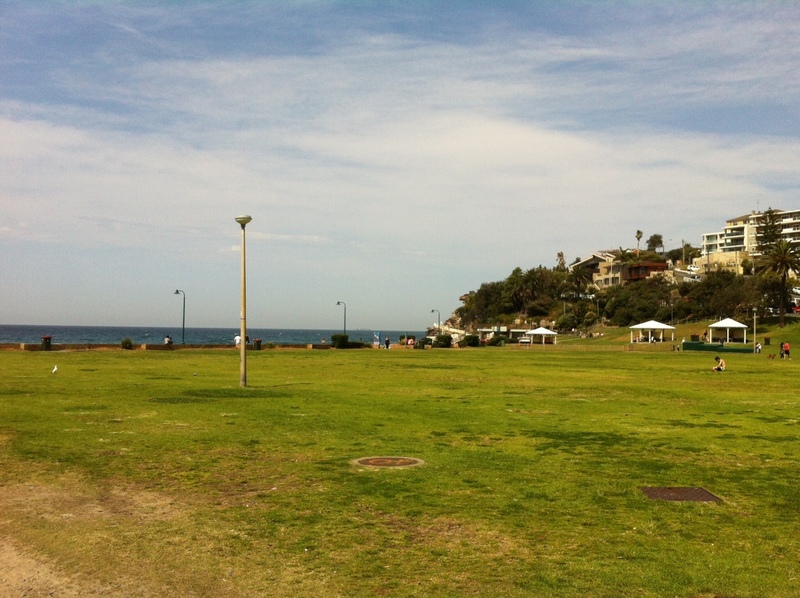 With a fantastic children's playground, picnic and BBQ facilities, a large grassy lawn that's perfect for ball games, plenty of eateries and a kiosk, two rockpools, and - of course - the glorious blue waters and sandy beach, Bronte Beach has something for everyone. 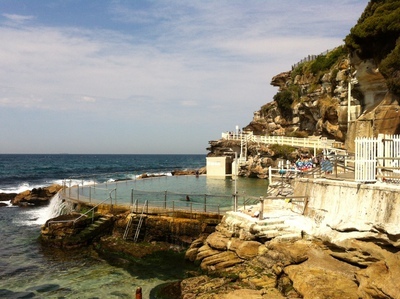 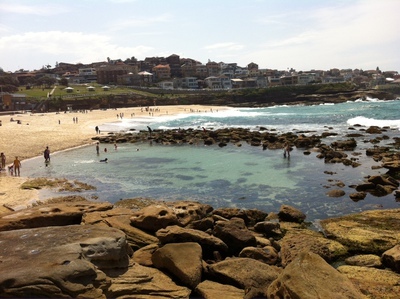 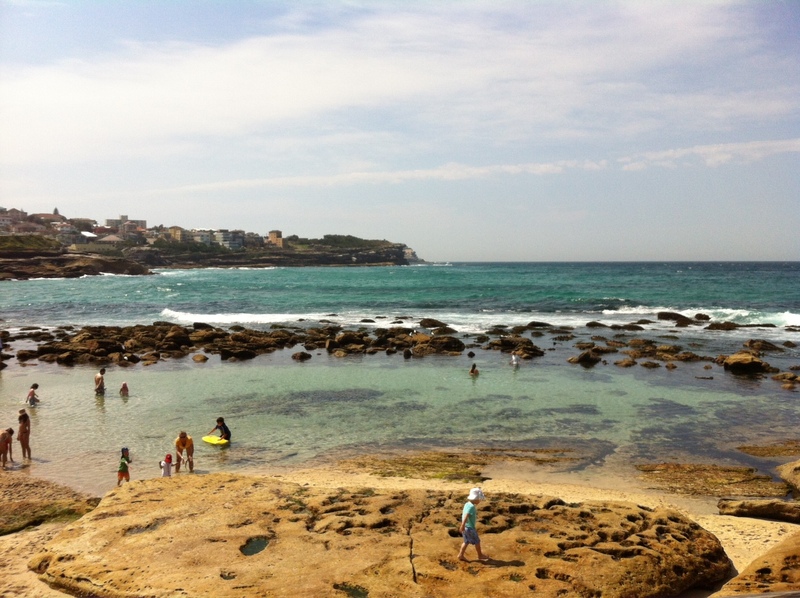 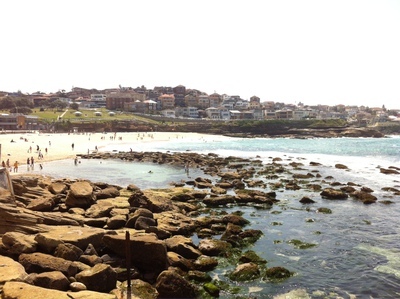 There are two fantastic rockpools at Bronte Beach, one natural and one man-made. 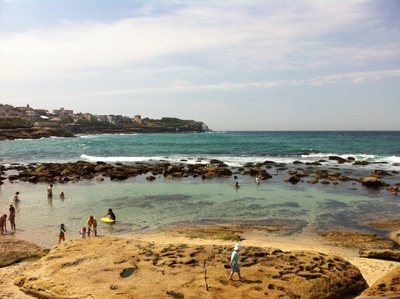 The natural rockpool is a great spot for the children to enjoy the ocean in a safe environment, explore the rocks, do some snorkeling and hopefully find some little fish to delight them. The man-made pool provides the perfect spot for some laps in the ocean. 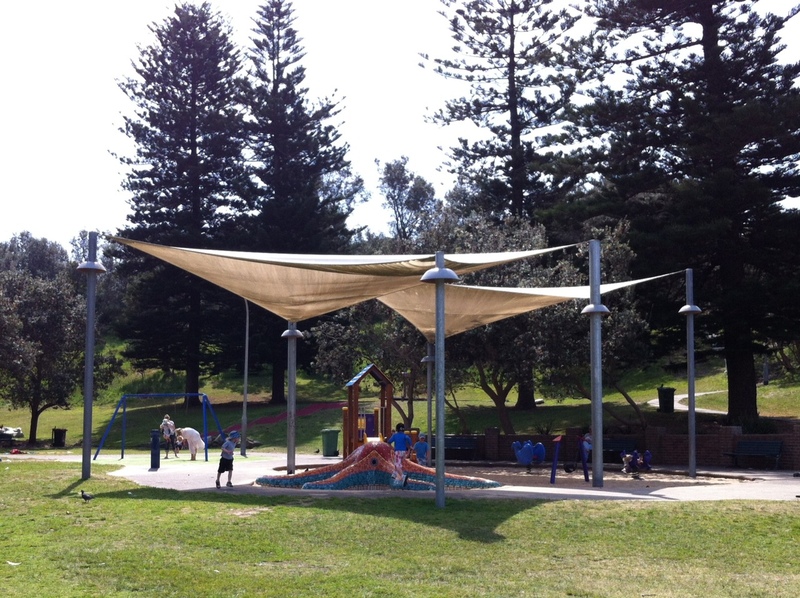 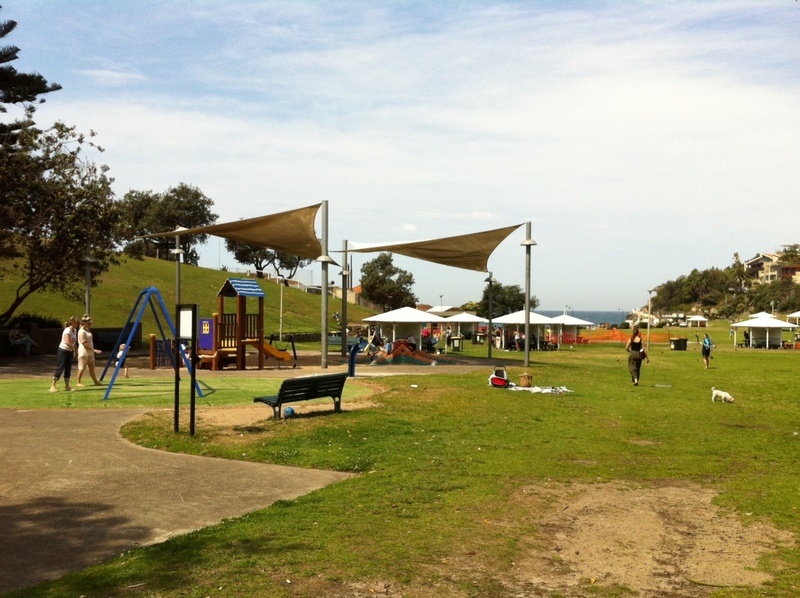 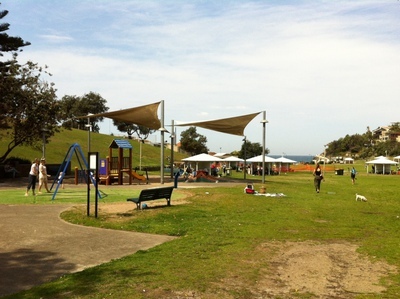 The children will love the shaded playground equipped with a cubby house, swings and slides and a climbing structure. 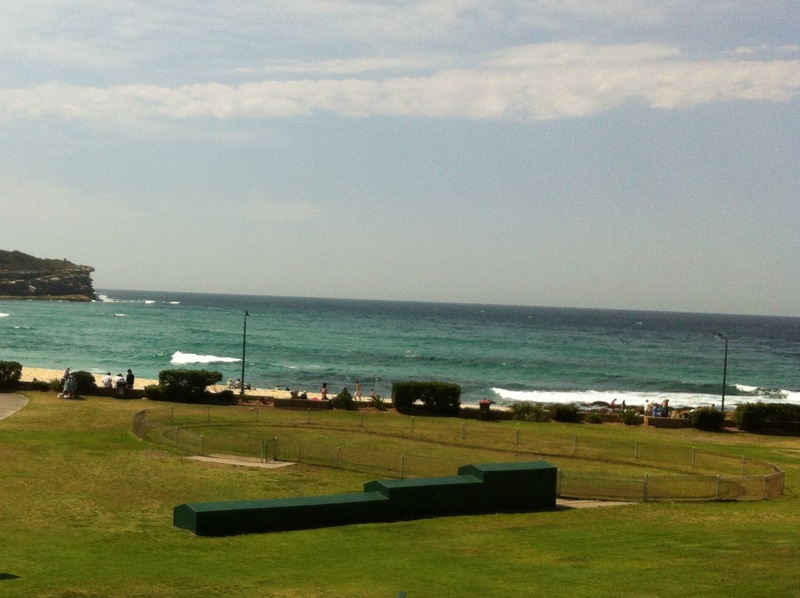 There is also a great little mini-train that runs around a fixed track on the lawn at Bronte Beach. 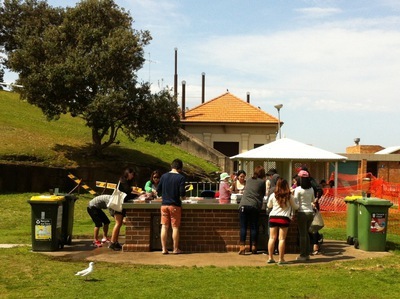 the train wasn't operating on the day of my visit, but it is open on Weekends. 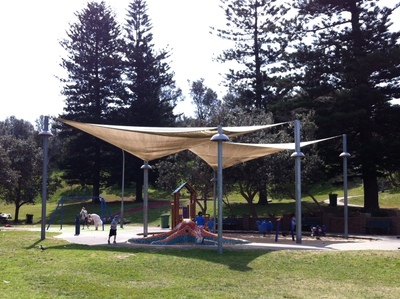 Children (and adults) can sit on top of the train and ride around for a few laps around the track. The train driver also gives off the occasion 'toot' which always gets a cheer from the kids. 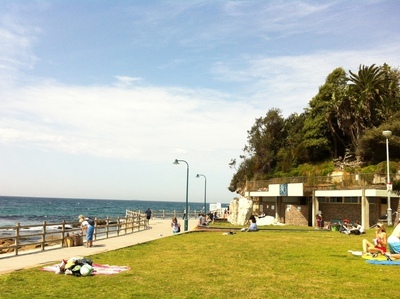 Pack a picnic and bring your favourite sausages to Bronte for a gourmet lunch right on the beach. There are plenty of tables with benches where you can set up for the day, and self-operated BBQs where you can cook your food. 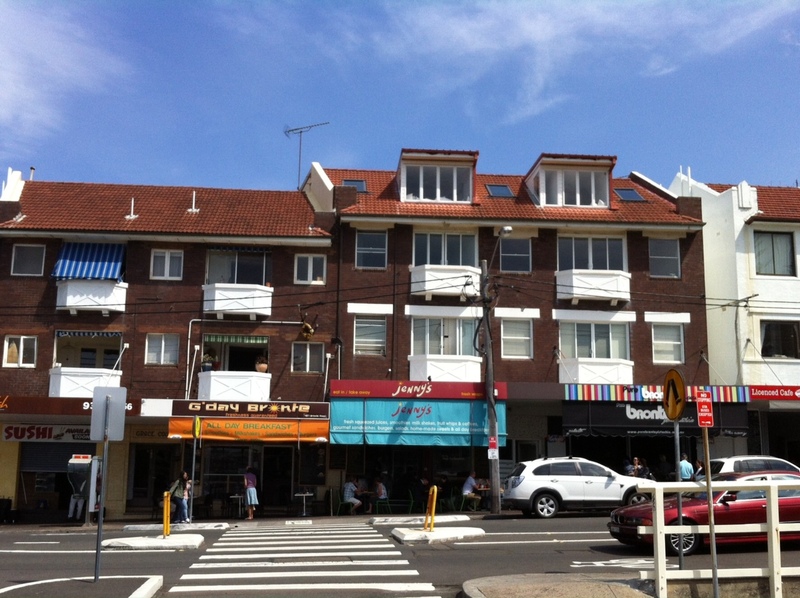 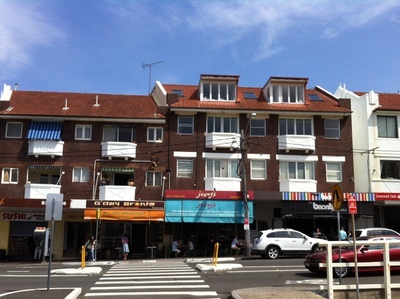 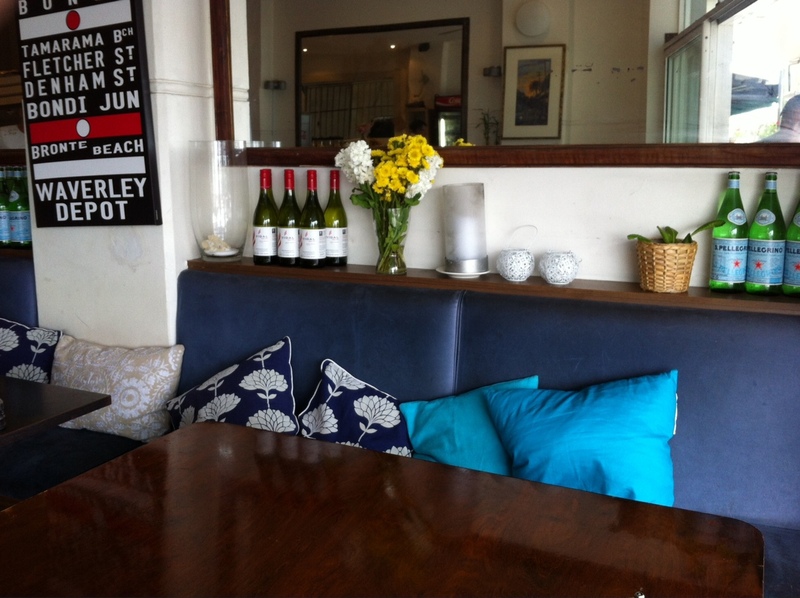 There are plenty of great eateries directly opposite Bronte Park, with options for all tastes and budgets. 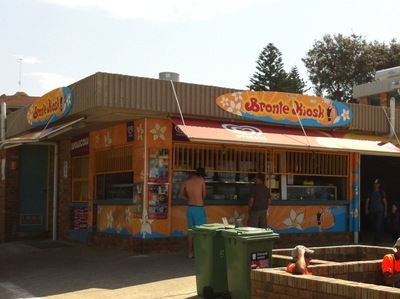 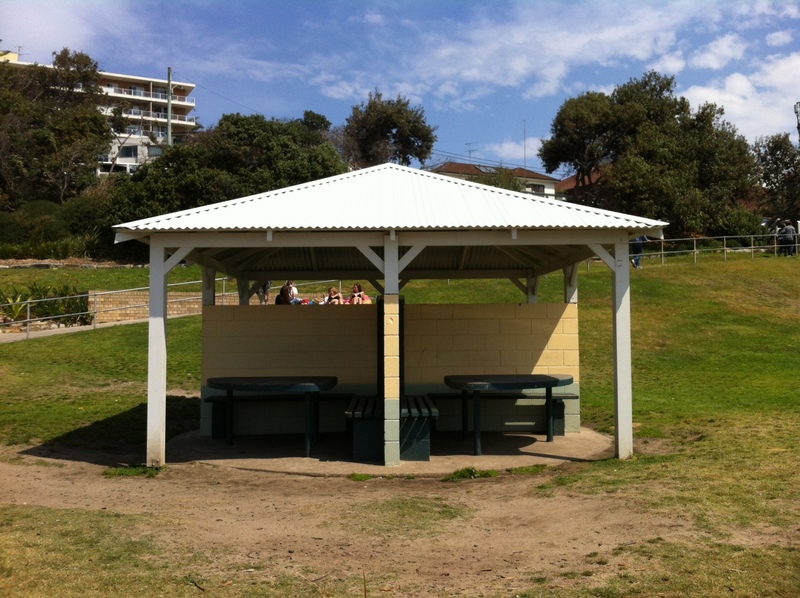 Right on the beach, you'll find the Bronte Kiosk, where you can get snacks like ice cream, chips and the like, as well as your favourite take-away hot food. 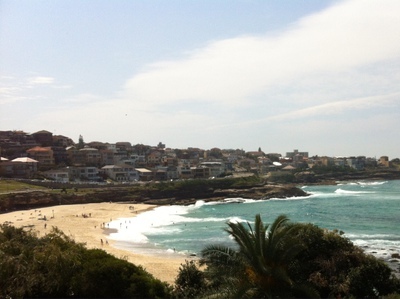 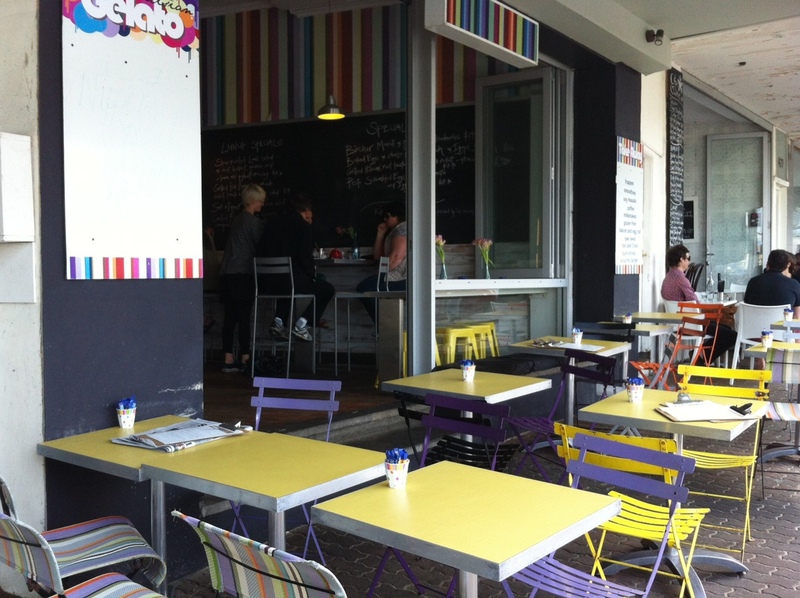 Across the road from Bronte Park, you will find a host of cafes and take-away options, ranging from standard casual cafe fare at Pure Bronte Pistachio or Cafe Q, to more upmarket establishments such as Swell.